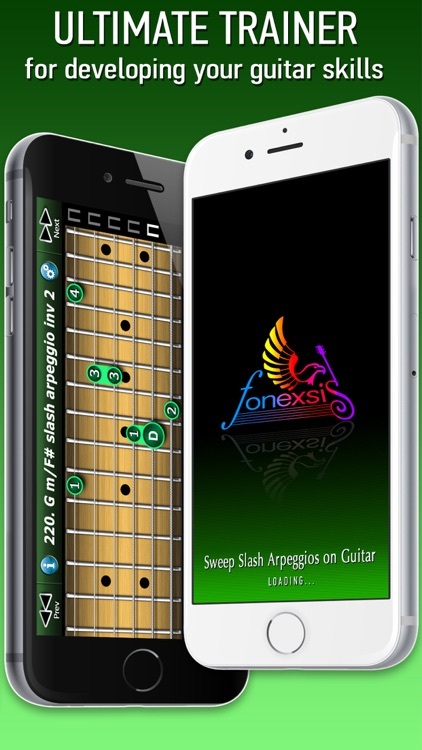 Sweep slash arpeggio is a sweep arpeggio, which plays over a slash chord. 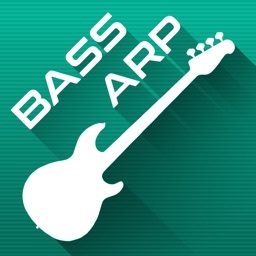 A slash chord or slashed chord, also compound chord, is a chord whose bass note or inversion is indicated by the addition of a slash and the letter of the bass after the root note letter. 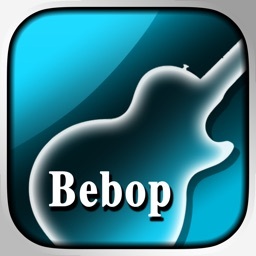 Mainly Sweep Slash Arpeggio on Guitar app is intended for advanced musicians. 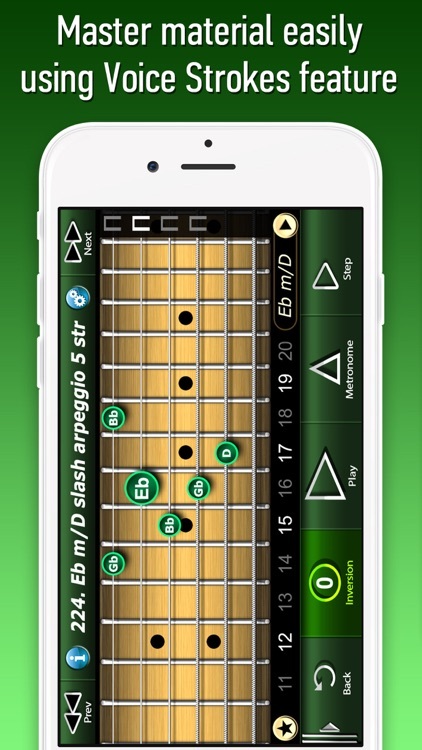 Inside this app you can find slash arpeggios on 6, 5, 4 and 3 strings. 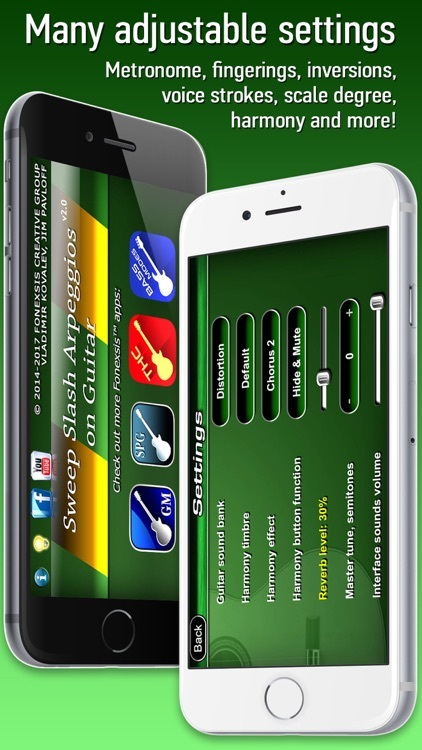 Everyone will be able to choose a slash arpeggio which is comfortable for him to perform. 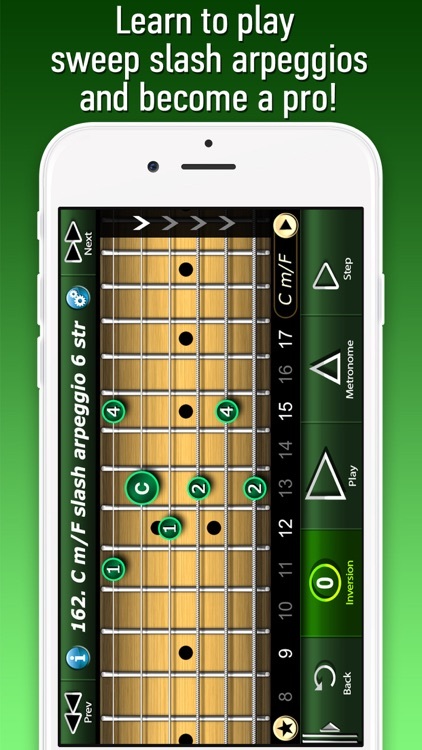 Try to perform extended fingerings in the upper positions of the fretboard. Sweep slash arpeggio is a new step in achievement of infinite perfection! 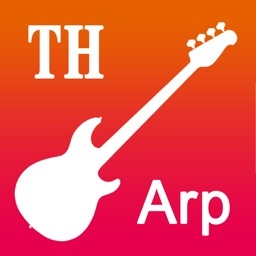 ● 717 different slash arpeggios (incl. inversions)! 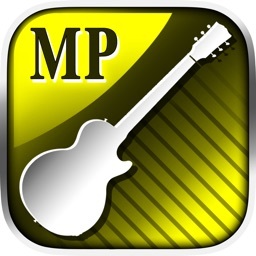 ● Each can be transposed to any desired key (over 8,600 of total arpeggios incl. transposition)! 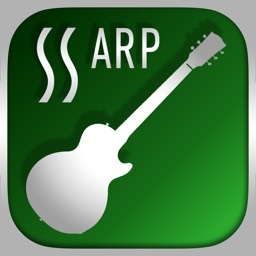 ● Every arpeggio is provided with a sequence of strokes, showing you necessary strokes for every note of arpeggio. These strokes (upstroke, downstroke, pull-off, hammer on, slide and tap) are provided to help you to achieve high speed arpeggios playing. Read the info page inside this application for detailed description on every stroke. 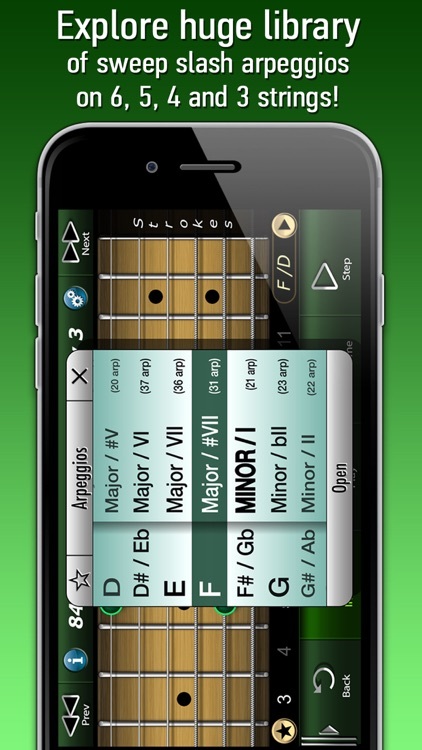 ● Harmony feature: you can see and listen to the chords, over which a current arpeggio can be played. This feature can be switched off when it is unnecessary. 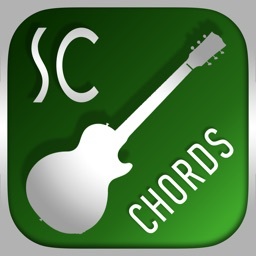 You can also use given chord progressions for your compositions.